for March 17th are Joyful. God gave us a free will to love. The will is happiest in its giving love. In heaven we will know God. Think of the joy of knowledge. Knowledge concerning God in us is most pleasing. In heaven there is no fear, no anxiety, there will be eternal happiness and love. There will be the joy of knowing the joy of love. We will not have regret or sorrow. We receive the heavenly reward for our earthly labor for the service of God and our sacrifices as Mary told the children at Fatima to make everything they do a sacrifice. God will reveal to us the truths now hidden. God will lift the veil and we will see Him face to face in heaven. Love can fill us here in our hearts with such joy. Can you imagine ever deeper love in heaven, fullness of life. Those who really love another will sacrifice for them, unusual sacrifices, commitment, willingness to give for the good of the other. There is perfect love, perfect beauty, perfect goodness in heaven. We will be united with those we loved in heaven and there are no flaws, no jealousy, no pride, no anger, in heaven. We will know Mary in her loveliness and beauty and know the angels and saints. R. Mary so beautiful and lovely and we will know her and love her more than ever before. This is Mary March 16, 2019. Mary has made me so happy on earth to know her and call to her as my Mother. And to meet Jesus and be possessed by God for all eternity. - Oh this is what we live for here below. In heaven we will be possessed by God. In heaven we will have the fullness of life. We will be possessed by God. We will have the beatific vision. Are not our sacrifices and sufferings worth such a treasure - to know perfect truth, the goodness of God, perfect love and the sweetness of Him!!!! How we love here is in accordance to how we will be able to love and be possessed by God. God tells us in the Blue Books how to grow in deepest intimacy with Him. He gives us the Prayer for Union. He gives us the Holy Spirit Novena. He teaches us to dwell in His and Mary's Heart and be taken to the bosom of the heavenly Father. Mary is the singular vessel. God gives us the capacity to grow in the supernatural life. He elevates our knowing and loving capacity, but we must realize it is a capacity. We seek the Holy Spirit to possess our soul. It is a capacity to seek God to dwell in us - to deeply love likened to Him. He gives us a sharing in His loving activity. We can reject loving and not develop in this capacity. We have a free will to love or not love. Love is a theological virtue we receive the supernatural virtues of Faith, Hope, and Love when we are baptized. We must go to God to increase in these supernatural virtues. To choose to not love and living in unloving life is so sad. In heaven God reveals the mystery of His love to us. It is so wonderful to be possessed by the Holy Trinity, Father, Son and Holy Spirit. In Shepherds of Christ Jesus teaches us about life in Him. Jesus teaches us about dwelling in His Sacred Heart. Jesus teaches us about Divine relationships. In heaven we will have eternal happiness. This should be our goal in Lent. To do all we do for God, not for show, not for manipulation but for love of God and one day be possessed by God in heaven. God so loved the world He sent His only Son, Our Savior. R. With this message my rosary turned really gold. Mary: I am Mary, Your heavenly Mother. I have appeared 25 years telling you to pray because disobedient sinful souls are going to hell. Those who are wise will listen. Prideful disobedient people can block my message. I appeared Our Lady of Clearwater, Our Lady of Fatima in the Americas. Your country needs my message. Satan is using those willing to serve him, to block this message of your heavenly Father. Why would someone choose pride to preparing for your heavenly reward? Why would anyone put anger and hatred before God? Sin is putting yourself before God. I am Mary your heavenly Mother sent by God the Father. God the Father: My plan will unfold despite the willfulness of any of My children. I am the Father. I have guided you in all of your activities. I am telling you that the members of the Shepherds of Christ must be made aware of the importance of living the Blue Book messages. Planning is up to Me. This is My plan and it will unfold. Men plan for the future. I AM. I am directing the Shepherds of Christ Movement through these messages. I am angered at the lack of response on the part of some to back these messages. You must support these messages so they are lived by man. These messages are given from the Hearts of Jesus and Mary to bring about the reign of the Sacred Heart of Jesus and the triumph of My beloved Mary's Immaculate Heart. You are given all you need. You must adhere to My plan. I am the Father. I AM WHO AM. I was in the beginning, I am now and I will be forever. I am telling you to obey the directions given by Jesus in these messages. My plan will unfold. The completion of the Fatima message will greatly come through the Shepherds of Christ Movement. You must circulate the tape, Mary's Message. You must circulate the messages given to you in God's Blue Books and Rosaries from the Hearts of Jesus and Mary. The renewal in the Church will greatly come through the newsletter and the books published with the imprimatur. You must publish all books on the Mass with the imprimatur. Prayer chapters must be started in the churches. The instructions for the priests will come from doing as I have requested. I beg you to circulate the Priestly Newsletter Book to the priests as soon as possible. The priests must be made aware of the Mass Books. The Children's Rosary Book must be published immediately. Your work, Fr. Carter and Rita, is to publish this material. Heaven has contacted the earth primarily in these messages to bring about the reign of the Sacred Heart of Jesus and the triumph of Mary's Immaculate Heart. The plan will unfold. It is My plan. You must be obedient to the directions I give to you here. The Movement is a great star of light to this world. From the Movement the earth will be covered with stars of light and the earth will be lighted through your efforts, Fr. Carter. I will give you all you need. The plan will unfold. It is My plan to turn sinful men into obedient, loving children. I have delivered this message that you will know My plan is unfolding. Many will be lost because of their willfulness. I demand obedience to My requests. The plan will unfold. It pleases Me greatly that you obey My messenger. She is delivering these messages to you from the Son, My beloved Son, God-made-Man. The messages of the love of God will be written on the hearts of men through the writings of Fr. 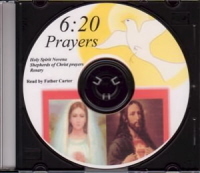 Carter and Rita to bring about the reign of His Most Sacred Heart. I am displeased with those who have blocked these messages. Anyone continuing to block My messages given through the Hearts of Jesus and Mary will receive a shock that will envelope them. The time is very urgent. The time has run out for sinful man. I am angered at the way the world has treated their Mother. Willful children must be punished. I demand obedience. Mary gave to her children her peace plan and she was ignored by the Church and her children. Mary is Mother of the Church and Mother of her children. Willful children must be admonished. Children must obey their Mother. Mary appeared on the building in Florida as Mother of all. You have made money your god. You have ignored God and made this world your end. I am God. I AM WHO AM, without a beginning, without an end. I am today, tomorrow and always. You do not comprehend My ways with your feeble minds. You must obey the messages given by My Son and His Mother. These messages I give to you as a gift and a great revelation from heaven. You must be thankful and cherish this gift given. I will not remove My gift to you for I know you will obey Me. I will admonish you when you do not respond as you should. I have called you and anointed you, My holy priest (Fr. Carter), to lead this world to the light. The Light of the world is My Son, Jesus. His Heart will reign and the heart of your Mother will triumph. I beg you to surrender and obey and watch My plan unfold. There will be a great era of peace very soon, My little children. All you do today will help to save many souls. Many souls will know the love of God through the Shepherds of Christ Movement. Many souls will love God with burning love. I give you this gift. Your writings, Fr. Carter, and the writings of My messenger, Rita, will help greatly to bring about the reign of the Sacred Heart. I am the Father. I am the Almighty God. You must believe I have chosen you. I have called each member here this day to hear this message. I have called you to be the apostles of the new era of peace. I have called you by name. You will lead men to the Heart of My Son. You must listen and focus all of your attention to this mission I have given to you. I am the Father. From the day you were conceived, I formed you in your mother's womb, knowing the great mission I would call you to today. My children, My children, do not be distracted by the evil one to lead you astray. I am counting on you, My beloved shepherds. You must not be led astray by doing other good works. I have called you, this is My plan, it is unfolding. You are a major part of the success of this plan for the renewal of the Church and the world. Your work in the Shepherds of Christ Movement greatly pleases Me. I AM, WHO AM. I am the Alpha and the Omega. I am the Almighty God. You must be obedient children. It is through your obedience that the consecration will spread to many souls on the earth. It is through your obedience to help spread the priestly newsletter and start prayer chapters in churches that many priests will love God with the greatest love in the Mass. I am asking you to spread the Mass Book to priests and sisters. Please pray for the priestly newsletter, the quick spread of the material given in the newsletter and for the priests reading the newsletter. Heaven has contacted the earth. The light will shine in the dark corners of the world. Men will respond to the Shepherds of Christ Movement. You must not be afraid. You must do as I have asked you. I have called you by name, My chosen ones, from the beginning I formed you and I gave to you the talents needed to accomplish this mission on the earth. Your talents are gifts from Me to be used for this purpose. You are the Shepherds of Christ. You are the apostles of the new era. There will be a new earth, there will be love on this earth as I intend it to be. My children will love one another, you will walk hand in hand, loving God and one another in harmony and peace. and the world did not recognize him. R. We do not even see Our Father as so important to us. A little child is always aware of their father. A little child knows how dependent he is on his father, always wanting to please his father. A little child is always aware of his mother and obeying her. A little child loves his mother. Look at how unloving we are to Mary. We are children of God, with God the Father as Our Father and Mary as our heavenly Mother. I tell you all to read the accounts concerning Noah. Nowhere in history has God been offended as He is this day by this sinful world. You will suffer a fate for the offenses against God. Mary appeared at Fatima to warn you, the sinful children, how they were offending God, but you did not listen. The war did not change the hearts of many evil men. I warn you through My beloved daughter, Mary. You did not heed her warnings. Disobedience against the Mother I gave you displeases Me greatly. Mary is the Mother of all children. Mary is a gift from Me, but you are willful and abuse the gift I send you. You do not make reparation to her Immaculate Heart; you continue to offend her. I will not tolerate the deeds of evil men any longer. My plan will unfold. Any disobedience to these messages given by Me, My Son, or your Mother Mary will cause Me great displeasure. I am the Father, the Almighty God, the Alpha, the Omega; you are a sinful people, a chosen race sinning against a loving God. I am angered at your ways for they are not My ways, you have run amuck, you have offended your God, you have disobeyed your Mother and My beloved Son who died to save you. I will act on all who continue in such sin. The sheep will be separated from the goats; the goats will receive punishment for their deed. Heaven and earth will kiss, there will be love in all hearts, justice will prevail and My children will be children of light, children that obey as I intended from the beginning. Oh indeed My sweet messenger, I look to the earth and see the darkness, I see the disobedience of men against their Mother. I know the deeds committed and the evil in the hearts of so many. Justice will prevail and I will wipe out the earth. Only the children of light will remain, those who have given their hearts to their Mother Mary. Do you think I send your Mother Mary as a messenger to be disobeyed by willful children? What do you think about at night, the cat, the dog, the fish? You don't know love. You don't love God or one another. This is My command to you, to love. You are a sinful, willful race, and the devil will vanish from the hearts of the children of light for they will be under the protection of her Immaculate Heart, the other children will be wiped off the face of the earth. Disobey My messenger, ignore your Mother, ignore the Son in these messages. Ignore My Son who died for you. Oh you sinful people filled with pride and disobedience, I give you the directions here to turn your hearts to love. My Son has revealed Himself as never before in history into His tremendous love for men and you treat Our gift with such indifference. I am angered at the lack of support to spread the messages of My Son's love for all. You worry for funds, worry more, I am God the Father, the Almighty God. You disobeyed Mary, you disobeyed Jesus, now you will disobey Me? You must obey My directions, the directions given through My Son, Jesus for the unfolding of the Father's plan. No longer will I wait while willful men check and deliberate and disobey. My plan will unfold through the Shepherds of Christ Movement. I am talking through these messages given by My Son and Mary to tell you how to accomplish this task of carrying out My plan. You must obey. The directions are given in these messages to spread the fire of God's love across this earth, to renew the Church and the world. Because of willful men these messages have been held in check. I am God, the maker of all things. You have made money your god. I want obedience, the funds will come when you obey all of the directions I have given to you. Anyone who interferes with these messages will be removed. These are the messages I give to the world. Fr. 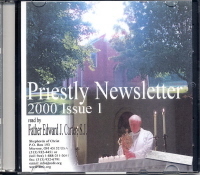 Carter's newsletter will teach the priests, all they need to know to be holy, loving priests. Many priests are not loving, they are cold in their hearts. I will instruct the clergy through the newsletter. My Son is the Chief Priest and Teacher. He has taught the world the secrets of His Heart through the writings of Fr. Carter and Rita, to go to men to check the value of these writings displeases Me. You must have faith, you must study the entire revelations given here. You are not valuing My great gift to you. I am the power, I am God, to the ends of the earth, I will be with you. My plan will unfold. You must think big, not on a human level. You must come to Me. I am telling you to circulate the tape of January 13 (1997) as soon as possible. This tape must be released to the world. It is the message to go with the apparition on the building in Florida. You must make every connection with Mary's message given December 12 (1996) and the messages given by Mary with the apparition of her on the building in Florida. Time is very short and My patience is very thin. I will strike the earth and the evil men will scatter and there will be a reign of peace where men will love God as I intended. The evil men will be chastised for I sent your Mother to warn you and you disobeyed. I gave My Son as a sacrifice and you treated Him with indifference. I am angry at the creatures on this earth. I will lessen the chastisement if you make reparation to the Immaculate Heart of Mary. Oh willful children, you disobey your Mother, you are unloving and willful and your ways are evil. You are a sinful race. I am sending water, rain to quench your thirst, My beloved children of light; I am sending fire to burn the fields for the sinful children, they will suffer drought and will fall to the ground dead, they will know fire, they will know the wrath of God. For I speak and I am ignored. I am using the Shepherds of Christ Movement to majorly carry out the plan begun at Fatima. Every day lost is a lost day. I give to you Rosaries from the Hearts of Jesus and Mary as your directions to help the plan unfold. Circulate these rosaries to all chapters and stress their importance. The tape of January 13 (1997) is important to the world. The tape must be circulated with the apparition in Florida and the messages typed and put on the Internet with the rest of the messages I have given. The connection must be made between the apparition and the Shepherds of Christ Movement. Satan will attack you strongly, he will create division and give messages through other visionaries to get you off coarse. You must obey My directions given in these messages to help bring about the completion of the Fatima message. I will weed out anyone interfering with My plan. I will tell you when you have deviated from My plan, do not taunt My messenger, this displeases Me. Read the messages for direction and obey them. The directions given are strong to correct a sick world. You must quit focusing on the messenger and obey Me. I am the Father, these are My messages to bring about the reign of the Sacred Heart of Jesus and the triumph of Mary's Immaculate Heart. You think of money and miss the gift given. You are men bolted to the earth. You must obey Me. I have all the power. 1. R. Dear Mary, our beloved Mother, we are joined together with you to pray the rosary to the Hearts of Jesus and Mary, to unite deeper and deeper in this love with Your Hearts. We pray this rosary for the spread of the devotion to Your Two Hearts. It is the 5th of the month - the first time you appeared here to me was 13 months ago and you have been coming, almost every day, to us as we pray this rosary. On this August 5, a first Saturday, a special day, we come to you, our beloved Mother and we ask you to look out over the crowd that you have called and assembled here and we ask you, dear Mother, to reach into the hearts of each person here and touch them with your motherly love in a very special way and draw them into your heart that they may dwell there and through the Holy Spirit be transformed more and more into the image of your Son. As we meditate on these mysteries of the rosary, we ask that your life and the life of your Son become more alive in our hearts and as we dwell, as we live in your heart, and the Heart of your Son, that we will live as you lived in purity in heart and love of God and love of our neighbor. 2. R. Jesus Christ, the Son of God, came to this earth our Savior. God wants us with Him forever and ever in heaven. He came to bring us life that we would have this life to the full if we go to heaven. 3. R. This is what the rosary is all about - it is meditating on the lives of Jesus and Mary so that we may grow more and more like Them. Life is not life if it is not rooted in God. 4. R. Pour out to us Your abundant life, let us feel the vibrancy of this life within us, let us feel the touch of Your grace within our being and help us to grow deeper and deeper in our love relationship with God. 5. R. I see the withered body of Jesus as He hung on the cross, lifeless. He gave the last drop of His blood and the last beat of His Heart. Meditate on His body. See it covered with wounds, covered with blood - His life ended. Next to this picture, see the risen body of our Lord. See the glorified wounds in His hands and His feet. See His body adorned and glistening in white. See Jesus as He rose victorious on the third day from the tomb. This is the Pascal mystery of death/resurrection. We live the Pascal mystery in our lives. Each moment of our day, going through struggles and in those struggles being raised to greater and greater life in Him. We live His life, death and resurrection in our lives. Dear Jesus, Help us to be witnesses to You in our lives. 6. R. Mary Magdalene and some of the others came to the tomb. They had prepared spices to put on the body of Jesus and when they arrived there the stone had been rolled back and they did not understand. The angel said, “Why look among the dead for someone who is alive?” Luke 24:5 Mary Magdalene went away and she saw a gardener - she thought he was a gardener and it was Jesus! But they did not understand, even after all that Jesus had told them, they did not understand what had happened. Why do we look for the living among the dead? Jesus is alive and with us this very day. He is truly present in the tabernacle. When we are in the state of grace, He lives within our hearts in such a very special way. He is alive and truly present in the tabernacle in His Divinity and humanity. So many search and wander for that which will satisfy their starved souls, when the risen Lord is with us this day. So many have forgotten Him. Jesus: I am alive, I am alive, I am alive and I am with you, My beloved ones. As you meditate on this rosary, draw ever closer to My Heart, through My Mother’s heart. This is a special rosary and I am outpouring to you abundant graces and gifts of My deep burning love for you. Open your hearts and I will enter very deeply into your hearts. You are My chosen ones that I have called here for I have a mission for you to go into the world to spread My love. I love you, I love you, I love you. This is a rosary from Our Hearts to your heart. Put aside all distractions that are in your mind at this time, the problems that are troubling you, all of the feelings of self-doubt, release to My Heart and I will bathe you in My precious love, love, burning on fire for you. You must let go. Whatever thoughts that are parading in your mind, that are not of Me, dismiss those thoughts and focus totally on the prayers at hand. I am Jesus and I am touching you in a special way. Interiorly you will feel a deep touching of My grace, if you open your heart and let Me come in. I am Jesus, this rosary is about My Divine Life, the life I want to pour into your soul. ABUNDANT LIFE!! R. And He hung on a cross on Calvary and He breathed His last breath and His Heart was pierced with a lance and what flowed forth was blood and water. Water, a symbol of baptism, Blood, a symbol of the Eucharist. God gives us a sharing in His life in Baptism and feeds that life with the Eucharist! Jesus gives to us His abundant life. The Church, the sacraments a fountain of His grace. R. This rosary is a rosary about life. Oh God fill us with Your life - we love You. Give us abundant grace, touch our hearts. God we surrender to Your will. 8. Jesus: The seeds of time move exceedingly slow. The hearts of many of My beloved souls have turned to hearts of stone. You, My beloved soldiers, I am giving you a sharing in My life in baptism - I am giving to those who ask more and more grace for their graced baptized soul. I am giving you My Divine love. I am fortifying you with your supplies to go into this world and to shine in the darkness. Many hearts are hardened and have turned ice cold. As you plant seeds in these hearts, I will water these seeds and they will grow in the sunlight and the light that radiates from your being from the light within you, it will shine on all those you touch. I am calling you to come for a deeper and deeper saturation of My life. curse: Choose life, choose life, that you will live! Jesus: It is in baptism, My dear sweet ones, that you are elevated to such heights. I elevate your knowing and loving capacity. I am Jesus. I am outpouring My life, My grace into your souls. Be sensitive to the touch of My grace in your souls. This is a visit from Jesus to you. 1. Jesus: Come, My dear little sweet one to Me. You are stiff and you are hard. I want to communicate with you. I want to be one in you, you one in Me. Let go of the stiffness, release yourself, take this time and come closer to My Heart. Release yourself and let Me work deeper in your heart, as I fill you more and more with My abundant life. I am Jesus. I want to touch your soul. I want you to feel more and more the love of My Heart and My Mother’s heart for you. You will unite deeper and deeper in union with Me as you surrender and let go and let Me work in your heart. Mary, it is in your heart that you knew Jesus, for you lived with Him. He was inside of you. You watched Him grow. As He grew all through His life, you shared the sufferings and you shared the joys. You lived with Jesus, you talked with Jesus. He shared with you much of His Divine wisdom. All of these things you pondered and put in your Heart for you were there, as the apostles were in the field when Jesus ascended into Heaven and you watched your Son as He ascended into the sky. Mary help us to be in your heart now and to see your Son Jesus as you saw your Son, Jesus, all through your life, to understand Him as you understood Him, to love Him as you loved Him. We want to dwell in deep union in your Heart and to know Jesus as your heart knows Jesus. As we meditate on this mystery, help us to experience more your feelings and your emotions, your interaction with Jesus, to live this mystery in your Heart, dear Mary. 3. R. We are commissioned in baptism to carry out His life, death and resurrection in our lives. In the Rosary Chapel, across from the Ascension, we see the mystery of the rosary: Mary is visiting her cousin Elizabeth. Mary goes to tell one person the good news and in the Ascension we see Jesus above the apostles and the Virgin Mary. He leaves behind the apostles and the Virgin Mary to carry out His work. From proclaiming the Good News from one person to leaving twelve men behind to carry out His life, death and resurrection in the world and look at the church this day - the church that was lead by these twelve men! 4. R. Jesus ascended into heaven, but He left the apostles and the Virgin Mary behind to carry out the work that He had begun. Jesus is alive this day. He lives in our hearts. He is in the Holy Eucharist. He is truly present in His Divinity and Humanity, He is as present as the day He walked the earth. 5. R. My dear, dear, tender Mother, help me to live in your heart. Help me to love with your Heart, to love the Father, more like you knew and loved the Father, to love your Son, Jesus more like you knew and loved your Son, Jesus, to love the Holy Spirit, your beloved Spouse more like you loved the Holy Spirit! I want to live and dwell in your heart, Mary. I will learn to love God more, more like you loved God. I will love Him more and more like you love Him and I will love my neighbor more and more like you. You love your little children of this world. I will love my brothers more like you, as I live and dwell in your heart, Mary. 6. R. Jesus was born a little baby in the town of Bethlehem and He ascended into heaven but He leaves behind His Apostles and the Virgin Mary to carry out the work that He had begun. It is in our living His life, death and resurrection, in our dwelling in Their Hearts, that we carry out His life, death and resurrection in our lives. As Mary was pure and gentle and tender in heart, as we dwell in her heart, as we live in her heart, as we operate from her heart, we too will be gentle and loving and more pure, like our Mother Mary. 7. R. As each of us unite to the Hearts of Jesus and Mary, we will be united in such oneness with each other. Let us all dwell in the heart of our loving Mother and in the Heart of her Son, Jesus and let us be one in Him. 8. R. He gives to us Himself in the Holy Eucharist. We become one in Him when we receive Him in Communion. Each one of us are one in Him. We unite in deeper union when we all receive the Holy Eucharist, for as I am one in Him and you are one in Him, we are one with each other. 9. Jesus: I call you, My dear ones, to go out into this world and to spread the Gospel message that Jesus has died, He has risen, and He will come again. 1. R. And there was a gigantic-like wind and there appeared over their heads parted tongues of fire and they were filled with the Holy Spirit and began to speak in foreign tongues. 2. R. The Apostles were filled with fear and they had locked themselves in the upper room. and there appeared to them tongues as of fire; these separated and came to rest on the head of each of them. They were all filled with the Holy Spirit and began to speak different languages as the Spirit gave them power to express themselves. R. The Holy Spirit descended upon them and the Apostles were transformed from fear to fearlessness and they went out to preach the Gospel message. 3. R. They were filled with the Holy Spirit and knew that Jesus was alive and He lived in them and that He lived in the Holy Eucharist and they went out to convert many and to baptize. Peter healed the paralytic. All the signs that they performed and wonders and thousands were baptized and converted. They were fearless - They were filled with zeal. They had faith!! Deep Faith!! 4. R. They saw Jesus, they lived with Him, they saw Him die on the cross and they saw Him on the third day after He rose from the dead. They were still filled with fear until the Holy Spirit descended upon them and then they went out, fearing no more. Dear Holy Spirit, we beg You to come upon us in a powerful way and to fill us with the fire of God’s love, to set our tongues on fire with the love of God so that what comes forth from our mouth is this deep-rooted love that is within us, that we are not afraid, in the workplace, and in the world, for we see before us a world that is hurting and in pain. Forgive us when we do little to spread Your Word even though we see the evil paraded before us. Help us to be filled with zeal to preach the Good News. We hold back when we know we should be witnesses and tell many of Your love spread in the Blue Books, Your letters of love. Spread these rosary meditations from You. Fill us with fearlessness to carry out the Gospel message in our actions, in our words, and however the Father intends us to carry out this message, to shine with the light of the Almighty God in us and to be proud for we know that Jesus is alive and He is in our midst! 6. R. As the Holy Spirit formed the Child Jesus in the womb of the Virgin Mary and the Christ Child received His life through Mary’s heart, we are transformed in the heart of Mary. Dear Holy Spirit, work in Mary’s heart and turn us more and more into the image of Jesus that we too may be the lights that shine His love to the darkness of the world. 7. R. As we are transformed more and more by the Holy Spirit in the heart of the Virgin Mary, we are led closer and closer to our Beloved Father. 8. R. This is what it is all about - union with God: Father, Son and Holy Spirit. To know the Father and love the Father more and more, we dwell in the pure heart of Mary. We love with Mary’s heart!! To love the Father with the love Mary had for the Father. To love Jesus with Mary’s heart. To love Jesus through the heart of Mary. To love the Holy Spirit through her tender heart. 9. R. We share in His Divine Life. We are saturated more and more in this life in our graced baptized soul. As we are on this earth, we are becoming more saturated with His Divine Life. We want to go to heaven and see the beatific vision and be full of grace in heaven. Every day we are on our way to eternity. Our union for all eternity depends on the depth of our union that we have with God here on earth. Let us grow more and more in this union through the heart of our beloved Mother. 1. R. Jesus ascended into heaven and Mary was taken into heaven, body and soul, but we carry out His life, death and resurrection in our lives and, as we dwell in the heart of Mary, we love with her heart, we love God with her heart, and we love all of our brothers through her pure and tender heart and she lives in this world this day. We consecrate our hearts to Jesus and Mary. 2. R. With gentleness and love, she accepted the will of the Father and all through the struggles of her life we see her in perfect peace. We see Jesus always did the will of His Father, to His death on the cross. It is in living in accordance to the Father’s will that we will have peace and joy in our lives. 3. R. Our little heaven on earth, dwelling in the Hearts of Jesus and Mary. How you are in your hearts so you will be in this world. If we dwell in the heart of Mary, the heart that dwells in the Heart of Jesus, and know and love Him so intimately in every tender detail, if we love with Mary’s heart, the love of these Two Hearts will be in us. 4. Jesus: My dear ones, I live within. When you are in the state of grace, the Father, Son and Holy Spirit, dwell in your graced baptized soul. You must become stronger and stronger in this interior union with the Father, Son and Holy Spirit. Consecrating your hearts to Our Two Hearts will strengthen you for the days ahead. You will know this place within yourselves and know My burning love, that does not flicker in your hearts, you will have peace and joy in the deepest sufferings. I fill you with My life!! If you dwell in Our Hearts, you will be filled with Our love. My sweet ones, I love you. I love you, I love you, with a deep love. Go into the inner sanctuaries of your heart, take refuge from the cold world and know that the Father, Son and Holy Spirit, dwell within you. The more you are saturated with My life, the deeper this presence will become within you, even if you cannot receive the Eucharist. You will know the presence of the Almighty God within your heart in a special way at all times. 5. R. Close your eyes and focus on your heart and feel the presence of the Father and the Son and the Holy Spirit within you, the Holy Spirit, filling you with the fire of God’s love, a vibrancy, a life, a might that is too mighty to be contained. Focus on this presence for a few seconds. Be alone with the Almighty God that is alive within your heart. 6. R. The wind may blow and the sun cease to shine but you can go to the inner sanctuaries of your heart and feel the presence of the Almighty God. Stay in the state of grace!! 7. Jesus: Go to confession and let go of the debris in your heart, hatred and anger, and resentment towards any person. In order to unite with Me your hearts must be pure and clean. My dear ones, such peace you will have when you go to confession and confess your sins. Make reparation for your sins and forgive yourself. Let go of all guilt and be about the job at hand to spread My light to this world. Be truthful about your sins. Beg to be forgiven. As you are in your hearts, so shall you be in this world. Satan wants you bowed down. He wants you to cast a dark cloud in the world. As you are in your hearts, you will be to this world. Release yourself of all of the troubles you are experiencing at this time and come and dwell in Our Hearts. 8. Jesus: Let go and give your problems to the Father in union with the Holy Sacrifice of the Mass, in the Holy Spirit, through the powerful intercession of My Mother. I am Jesus. I am calling you to deepest union with Our Hearts. Surrender and let go and miracles will happen in your life. As you let go, many of those things you worry about will work themselves out. You spend endless hours in worry and I am guarding the very hairs of your head. I am pondering your hearts. I love you, I love you, I love you. I long to hear these words from your lips. When you worry, tell Me of your love. I am waiting for our love affair. Consecrate your hearts to Our Two Hearts. Surrender and let go. 9. Jesus: Live for the love of God. Do not live to be prideful and better than your brother. Live to love God. Do not worry about what people are thinking about you if you are performing all of your acts for the love of God. Say to yourself, I do this for the love of You, Jesus, my best friend and continue to do the Father’s work. I am Jesus. I am attentive to your every need minute by minute, second by second. Come to Me. Trust in My Sacred Heart. I am waiting for your love affair with Me. 10. R. Mary was taken into heaven body and soul, but she remains alive and with us this day. Do you feel the presence of your heavenly Mother with you this day as she holds you and presses you to her breast? Mary: I am Mary, your Mother. I am caring for you, my little children, tenderly and lovingly, I am tending to you, my little beloved children. Do not worry. Jesus and I are with you. 1. R. The Father chose Mary from among all women to be the Mother of His Son. The Child Jesus grew within the womb of the Virgin Mary. Mary is the Mediatrix of all grace. Mary’s heart was invisibly pierced with a sword. 2. R. Mary is crowned Queen of Heaven and Earth. She is the human person that is closest to the Father, Son and Holy Spirit. It is in modeling our lives after her life that we will be more and more as the Father created us in His own image and likeness. 3. R. In the Rosary Chapel, there are these beautiful windows of the 15 mysteries of the Rosary. Mary is in the window and Jesus is crowning her Queen and beside her is the Father, and above her, the Holy Spirit. This is a most beautiful window, for as we grow more and more in our life with God, as we know the Father more and more and love Him through Mary’s heart and love Jesus through Mary’s heart, and the Holy Spirit through Mary’s heart, we will unite closer and closer in our union with God. This is what eternity is all about - to be in deepest union with the Father, Son and Holy Spirit, dependent on our union with Them here. 4. R. Take special moments all through the day and focus on the presence of the Almighty God within you. “Lord Jesus, Chief Shepherd of the flock, I consecrate myself to Your most Sacred Heart. From Your pierced Heart the Church was born, the Church You have called me, as a member of Shepherds of Christ Associates, to serve in a most special way. You reveal Your Heart as a symbol of Your love in all its aspects, including Your most special love for me, whom You have chosen as Your companion in this most important work. Help me to always love You in return. Help me to give myself entirely to You. Help me always to pour out my life in love of God and neighbor! Heart of Jesus, I place my trust in You! 6. R. Help us more and more to dwell in the heart of our Mother and dwell ever deeper in the Heart of her Beloved Son so that we will love God through the pure and sinless heart of Mary. To pray every prayer that we pray from Mary’s heart! Help us to join ever closer to the Hearts of Jesus and Mary and someday we hope to be in heaven. Mary received her crown and she is Queen of Heaven and Earth. 8. Mary: My dear children, I am Mary, your Mother and I tell you how Satan is pressing down on this earth. He is causing confusion and division in your hearts. He is keeping you focused on problems and keeping you from your deep union with my Son. Come to my Heart and let me protect you in my motherly love. Give all your cares to me. I am guarding your children, and guarding your lives. I am your Mother of love. More than any earthly Mother, I love you! You must surrender and come to Our Hearts for the days ahead will be hard and dark, and as Satan is pressing on you this day, he will press harder tomorrow. You must learn to put aside the distractions, the confusion, the division in your hearts and come to my Heart with a heart that is humble and filled with love. Satan talks in your mind and causes you to be upset. Let go, my little children. I am Mary, your Mother. I am appearing as Our Lady of Light to show you the way is the way through Our Hearts, to the light. Within your heart you will have a light that does not flicker. It is constantly burning, in deep love. You must not give in to the distractions in your mind. Come to the tabernacle. My Son will give you all the answers. (R. She is alive in the statue). Mary continues: He is waiting for you to come, come and sit in silence and let Him work in your heart. You will know what you are to do. You must come to the tabernacle. You must come to Mass and Communion. It is there you receive abundant graces from Him. You will be filled deeply with His life. Do not be filled with fear, be filled with hope and joy and pray to the Holy Spirit to give you His wisdom to know the will of the Father. (R. She is alive in the statue - gorgeous). 9. Mary: As you see me here before you, you know I am with you in all of your trials and all of your struggles. You must discipline your thoughts and come to my Son. 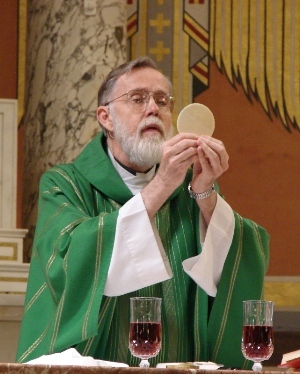 It is through the Eucharist that you will be strengthened for all your trials. Mary: As the rain falls, so too many sufferings will fall around you. You will not be harmed, for I am protecting you with my motherly mantle. You must surrender and come to Our Hearts, be with my Son Jesus, deeply united in your hearts. Meditate on the presence of the Father, Son and Holy Spirit within you. Pray for the grace to know and love God more. Pray to the Father, in union with the Holy Sacrifice of the Mass, in the Holy Spirit, through the powerful intercession of the Virgin Mary. Pray all through the day and offer all of your actions to the Father with your petitions in the morning. I am Mary, your Mother. You are being guarded and I am appearing to you to deliver this message - that your hearts will be quieted and you will be about the work of the Father in spreading the love of my Son Jesus into this world. The Immaculate Heart of Mary will triumph and the Sacred Heart of Jesus will reign. You should pray for the spread of the devotion to Our Two Hearts, and consecrate yourselves to the Hearts of Jesus and Mary every day. I am Mary, your Mother, and I am guarding you.